With the BFK470, the INTORQ product portfolio now offers a modular series of spring-applied brakes sealed by an IP66 enclosure. Our modular solutions are unique in the market, and they have been put to successful use for decades. This new series was developed for operating conditions that require a high level of ingress protection against dust and/or dampness. The BFK470 comes in 7 sizes from 2 - 370 Nm. As a self-contained system, it is predestined for use in wind turbines and cranes. 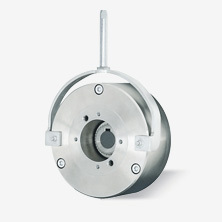 This brake can also be used in extreme ambient temperatures.